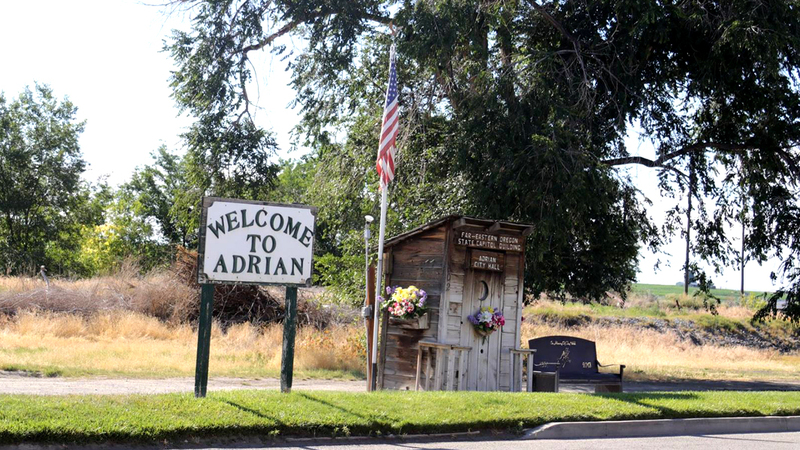 Taxpayers in the Adrian community will see the largest increase in property taxes in Malheur County this year, with the local rate going up by 7 percent. Two items pushed the tax up: the Nyssa road district and the Adrian school bond. ADRIAN – Taxpayers in this small community will see the stiffest increase in property taxes in Malheur County this year, with the local rate going up by 7 percent, according to the latest figures from the Malheur County assessor’s office. The first installment of property tax bills are due this month. The total assessed value of taxable property in Malheur County for the 2017-2018 fiscal year was $2.296 billion and dropped this year to $2.218 billion. If everyone paid their taxes, said County Assessor Dave Ingram, local governments would collect more than $28 million. Adrian’s tax rate climbed the highest between the two years. Adrian’s tax rate was $14.51 per $1,000 of assessed value but jumped more than a dollar to $15.53 this year. Two items pushed the tax up. The levy for the Nyssa Road District increased from just over $3 last year to $3.58. Costs for the Adrian School Bond also climbed from $1.85 in the 2017-2018 fiscal year to $2.30 this year. Across the county, the levy on residential properties stayed about the same but some owners will see increases because tax rates went up by a small margin, including in Ontario Nyssa and Vale. Payments on school bonds in each town produced the increases. Vale continues to have the highest tax rate in the county with a charge of $18.31 per $1,000 of assessed value. Last year, the tax rate was $18.15. With that, Vale taxpayers fund 10 government agencies. The biggest chunk of the taxpayer pie is $7.68 that goes to the city. The next largest funding piece for taxpayers – at just over $4 – is the school district. The next highest amount – $2.58 – is funneled to the county. Vale property owners also are taxed for the vector control district, the agriculture district, the Malheur Education Service District, the Vale Middle School bond, Treasurer Valley Community College, Valley View Cemetery and Pioneer Nursing District. In Nyssa, the rate per $1,000 of assessed value edged up from $17.65 in the 2017-2018 tax year to $17.76 this year. Ontario’s tax rate went from $14.87 to $14.90. McDermitt, an unincorporated community spanning the Nevada-Oregon border, has the lowest tax rate in the county at just over $6. The top five property taxpayers in Malheur County are: Idaho Power, Heinz North America, USG Oregon LLC., Fry Foods and CenturyLink. USG Oregon LLC operates a 22-megawatt geothermal power plant near Bully Creek Reservoir. Idaho Power and Heinz North America each face about $1.4 million in taxes this year while USG Oregon will be assessed $1.1 million, Fry Foods $253.541 thousand and CenturyLink $229,580. Ingram said residents can contest their property tax assessments through an appeal process. A resident must record file their appeal by Dec. 31, said Ingram. The next step, he said, is a review of the property by the assessor’s office and then the resident can go before the county Board of Tax Appeals. That board decides the appeal, sometimes resulting in a lower assessed value and a lower property tax bill.